White vinegar, also known as spirit vinegar, is one of the most common household items. It is a clear liquid with an acidic taste and has a pH of about 2.4. It is produced by fermentation of distilled alcohol. It is used in cooking, baking, meat preservation and pickling, as well as marinades, sauces and salad dressings.Many people also use it for medicinal, industrial and cleaning purposes. Here are 10 awesome uses for white vinegar that you may not know. If you have acne-prone skin, you can say good-bye to breakouts with the help of white vinegar. It is a powerful antiseptic agent with antimicrobial activity. Plus, it helps restore the pH balance of the skin. It even helps kill the bacteria responsible for acne breakouts. 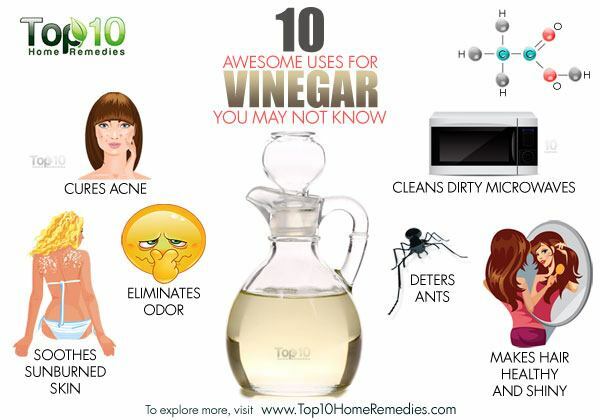 However, avoid using white vinegar for occassional pimples as it may be too strong for them. Wash the affected skin with a mild cleanser and pat dry with a towel. 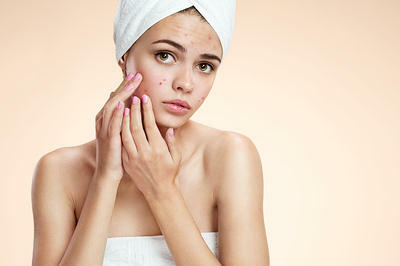 Use a cotton ball to apply the vinegar solution on the acne-affected areas. Wait 5 minutes before rinsing it off with cool water. Use this treatment once or twice daily for a few days. Note: Do not use white vinegar on sensitive skin. If you have a bad sunburn, one of the best home remedies is white vinegar. It has astringent properties that help ease pain, itching and inflammation. Add 2 cups of vinegar to your bathwater and soak in it for 20 to 30 minutes daily for a few days. Alternatively, add 2 to 3 teaspoons of white vinegar to a bowl of cool water. Soak a cloth in it, wring out the excess liquid and place it on the affected skin. After 10 minutes, again soak the cloth in the solution and reapply. Repeat until the skin begins to feel cooler. Use this remedy as needed. White vinegar can help get rid of any kind of odor. It can deodorize body odor, vaginal odor and bad breath. It is also effective in eliminating household odors. For body odors, mix equal amounts of vinegar and water. Use the solution to wash the affected area twice daily until the odor is gone. For bad breath, add 1 tablespoon of vinegar to a glass of lukewarm water and gargle with it twice daily. To clean the smell of onions, garlic, meat, fish or spices off your hands, wash them with soap and water and then rinse them with vinegar. Put a piece of bread soaked in white vinegar in your refrigerator, garbage can or even your room overnight to get rid of strong odors in these places. White vinegar is good for maintaining healthy hair. It can remove residue buildup from your scalp, treat dandruff, get rid of a smelly scalp and add shine to your hair. In addition, it restores the natural pH level of your scalp, which is essential for healthy hair. 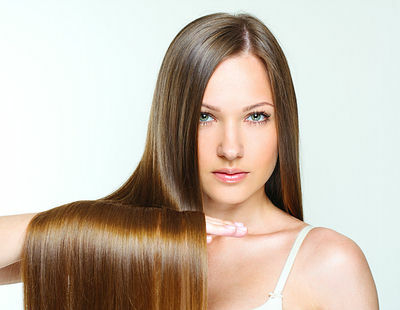 For a single hair rinse, mix 1 part vinegar and 2 parts water. Shampoo your hair and rinse it with lukewarm or cool water. Apply the homemade solution to your hair and scalp. Massage it into your scalp and make sure the solution covers your hair from the roots to the tips. Wait a couple of minutes, then rinse with lukewarm water. Repeat once a week. After a few weeks, repeat once or twice a month. This treatment is very effective for people who have dandruff or an oily scalp. To reduce the vinegar smell and instead add a nice scent, steep a bag of chamomile, rosemary or some other herbal tea in water and add the vinegar to this solution instead of plain water. 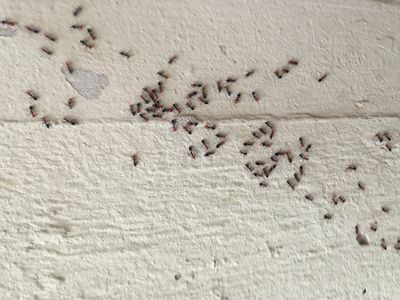 If you notice ants entering your home, especially the kitchen area, use white vinegar to get rid of them as they do not like the strong smell. Plus, its acetic acid helps kill ants. Put equal parts of white vinegar and water in a spray bottle. Spray the solution wherever ants are visible in the house. After some time, wipe up the dead ants with a wet cloth. Repeat once daily until the ants are completely gone. You can also clean the kitchen counters and floor with this solution regularly as a great preventive measure. This solution also works as an insect repellent to fend off mosquitoes, houseflies and other insects from your house. 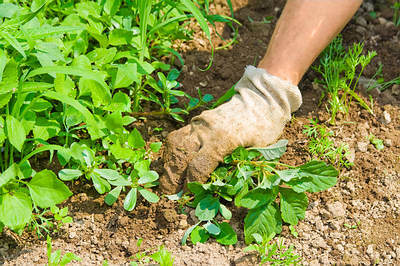 Vinegar is also an effective organic solution for eliminating weeds, grass and garden pests. At the same time, it will help improve the pH level of the soil and will not harm the fertility of your garden area. Add a few tablespoons of vinegar to a gallon of water and transfer the solution to a spray bottle. Spray it on any weeds and unwanted grass. Be careful to only spray weeds and grass, as vinegar’s acidic nature can damage other plants growing in your garden. You can even spray this solution along the boundary line of your garden area to keep garden pests away. In addition, you can use vinegar to clean rust off garden tools by soaking them in undiluted vinegar overnight. 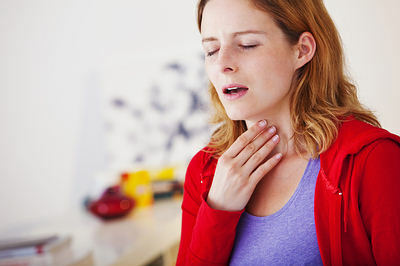 White vinegar is very helpful for dealing with a bad sore throat. Due to its antibacterial properties, it can help get rid of the bacteria responsible for the problem. 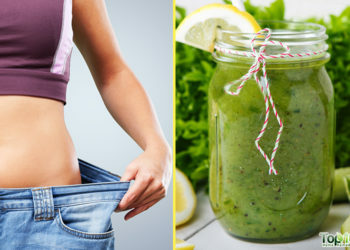 Add 1 tablespoon of vinegar to a glass of warm water. You can also add a little salt. Gargle with it 2 or 3 times daily for a few days. You can use white vinegar to keep your microwave, dishwasher, coffee maker and other kitchen equipment clean, spot free and odor free. Mix ½ cup of vinegar and 1 cup of water in a bowl and heat it in the microwave to boiling. 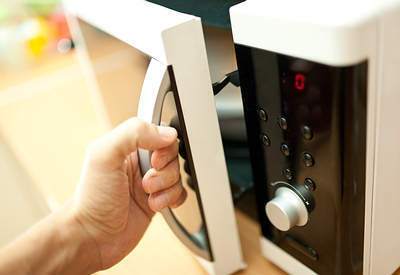 It will loosen food debris from the walls of the microwave and neutralize any smells. Add 1 cup of warm water and 2 cups of white vinegar to the reservoir of your coffee maker and run it through a brewing cycle. Throw out the solution and then clean the coffee maker with water 2 or 3 more times. Put a cup of vinegar in your empty dishwasher, then run a complete cycle. It will remove buildup of mineral deposits and keep your dishwasher smelling nice. It’s important to clean and sanitize surfaces where food is prepared to protect you from infection and prevent spreading germs. 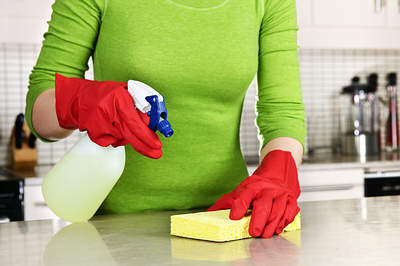 You can use vinegar to clean kitchen counters, cutting boards, sinks, garbage cans, dishes, knives, utensils, pots and pans. In a spray bottle, add equal amounts of white vinegar and water. Spray the solution onto kitchen surfaces, countertops, the interior of the refrigerator and faucets. Wait 10 minutes, then wipe the area with a clean paper towel. To get rid of greasy stains on your kitchen utensils, dilute vinegar with water and soak the items in it for 5 minutes. Then scrub away the grease with a soft sponge. When it comes to cleaning hardwood floors or wood furniture, the easiest solution is vinegar. Experts believe that white vinegar and water is the best hardwood floor cleaner and will leave hardwood shining beautifully. 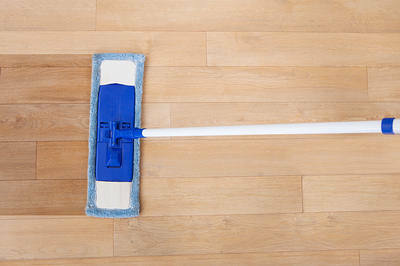 Mix equal parts of vinegar and water and use the solution to mop your hardwood floor. It will help clean and sanitize as well as restore your floor’s beautiful luster. For cleaning wood furniture, simply rub the surface with a cloth soaked in undiluted white vinegar. You can even use vinegar to clean glass and mirrors.